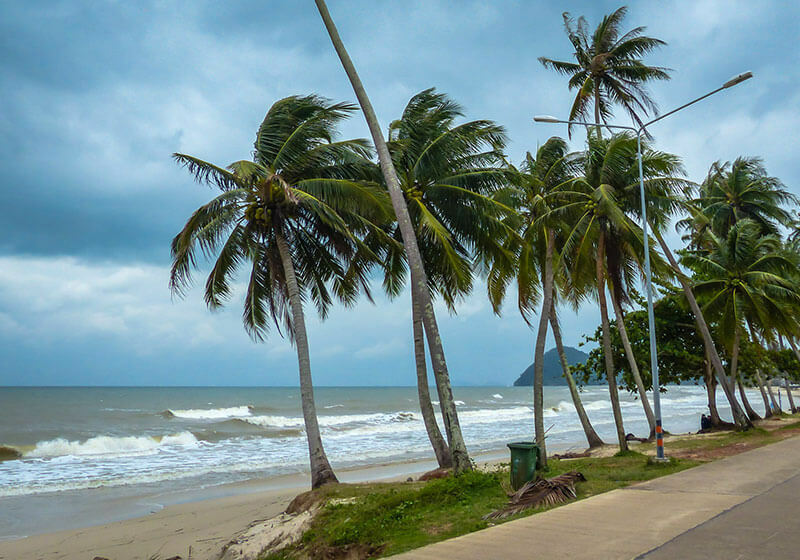 White sand beach with lots of palm trees in the Gulf of Thailand. Thung Wua Laen will take advantage from its location with fresh air, great weather, water and plentful forest. Local people bring out a very lively atmosphere, where their happiness can be ranked as the one of the best in Thailand. It’s important to note that when travelling in Thung Wua Laen and Chumphon people should preserve the existence of nature and the atmosphere, not to make adjustements leading to the destruction that occured in many parts of Thailand. Thung Wua Laen Beach is 15km from the train station of Chumphon. It is the provincial capital of Chumphon Province in the Central Gulf Coast of Southern Thailand.